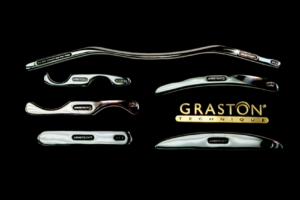 Graston Technique is a unique, evidence-based form of instrument for soft tissue mobilization that enables the therapist to effectively and efficiently address soft tissue lesions and fascial restrictions resulting in restoration of pain-free movement and function. The method was started by David Graston and employs a collection of six stainless steel instruments of particular shape and size, which are used by practitioners to rub patients' muscles in order to detect and resolve adhesions in the muscles and tendons. 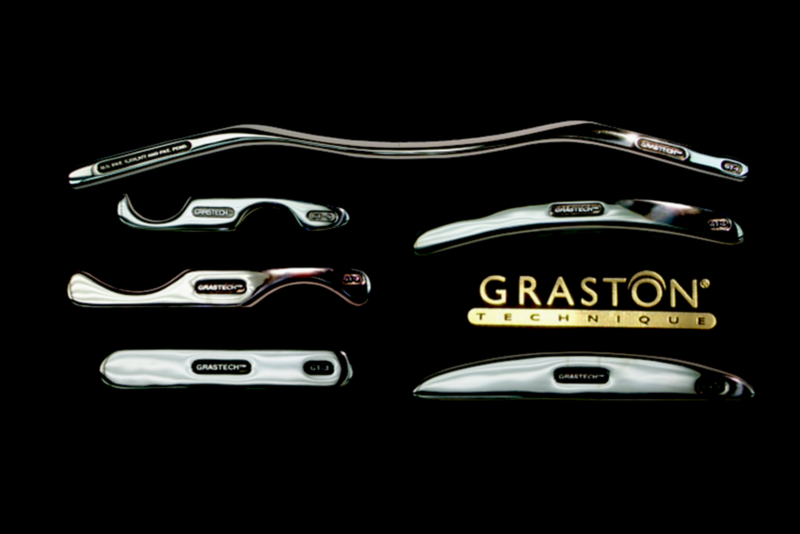 The Graston Technique is designed to help the practitioner identify areas of restriction and attempt to break up fibrous scar tissue or an adhesion.